So, practising Christianity is something ‘you do’? Yet you’ve got your s*&t shorted! 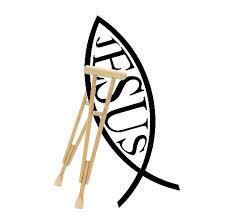 Why do you need the crutch of God & Jesus? So what has been lost in translation? As a friend asked recently, “so, does this take up a lot of your time?” Umm…G&J take up virtually all my time. I never imagined I’d forgo downloading the latest chiller-thriller on my Kindle for J.I Packer’s ‘Knowing God’, but there you have it. This isn’t, personally, something I can switch on and off after church each Sunday. G&J rappelled into my heart and now urge me to get to know them better. Not from some intellectual theological perspective (too much of that has led to the loss in translation, I suspect) but because I WANT to. I want to know them, not have knowledge of them, because the knowing delivers joy. Unlike other transient happinesses in my life, this joy just hangs on in there. It isn’t intellectual, it just is. Like riding a bicycle or learning to float/swim, it can’t be broken down into distinct parts and explained so someone else can do it. It’s within. From when I open my eyes each morning to their close at night (and quite often overnight when God pays one of his 3am visits and shoves me awake with blog post suggestions). As if my new relationship with G&J would change my martini-enjoying, dance-loving, often sweary, robustly honest approach to life. But there was the misunderstanding that I would turn into the fun police. Put a fish sticker on my car. Stop buying devastatingly gorgeous faux snakeskin boots (as if sanctification would ever stop me buying devastatingly gorgeous shoes). Sadly, Jesus is lost in translation because of what is ‘expected’ of Christians. The ‘do-gooder’ stereotype. Shiny language. I know I’ve changed, but it probably isn’t in the way people expect. Internally I feel more accountable for thoughts, words and deeds. I am no ‘holier than thou-est’, but, God, He makes me think. Again, not because I have to – grace is freely given, there’s nothing I can do to earn it – but because I choose to. G&J make it easier to love another as myself. The Holy Spirit at work? Absolutely. Left to mine own devices, I’d be as short-patienced as ever. I didn’t have -isms and -tions (alcoholism, addiction etc) that secular people expect of ‘born-again’ Christians who “have been saved”. For many observing me, I had my sh*t pretty well sorted. I recall feeling affronted. “Steady on, I wasn’t that bad,” I responded, thinking of the character’s incessant hamster-wheel of internal chatter. But, with quiet, humble reflection, I had to acknowledge the smart-alec had a point. I hadn’t filled up my life with drinking or shopping or career addictions. My mind wasn’t busy at that low-level. Oh no, it wasn’t filled with chatter. Or gratuitous ‘stuff’. It was filled with being too damn capable. Always the grown-up. Responsible. I could overlay it with wit and humour, but push came to shove and I’d always, always, pick up the responsibility rod. In an odd way, G&J have reminded me to be a kid again. To put down unecessary responsibilities. Or, better, hand them over to them. They deliver plenty of ‘in the moment’ joys that children embrace so well but we adults often forget. There is a huge amount of humour in their relationship with me. At the risk at turning into my psych nemesis, there is a new freedom in being ‘childlike’ that I didn’t get to enjoy when I was a child due to family circumstances. Why do you ‘need’ the ‘crutch’ of God & Jesus? To term them a crutch insults my faith in them. G&J flank me. Some days they carry me, others they may drag me, but each day they walk steadily next to me. It is my error if I neglect to turn my head and acknowledge their presence. When I do, I walk taller, become lighter and unencumbered. That’s not a crutch. That’s Russel Crow winning an Oscar in Gladiator. Or Jack Reacher (in 6′ 5″ literary form, not Tom Cruise). That’s stand up and be counted. ← Dear God, I think Jesus would bake two wedding cakes, don’t you? I love the fresh eyes you have for this new-found faith and the ability and courage to put it out there! I wondered where you got your ideas for blogs! !